Today I have the honour of interviewing author Barbara Underwood about her writing life, and about her latest book, ‘Rhuna: The Star Child’ which was released on the 21st January 2016. So without further ado, say hello to Barbara. After a lot of travel and reading about history – I started with Thor Heyerdahl’s adventures which led me to other books about unexplained mysteries such as pyramids and other megaliths around the world – I came to a point where I wanted to put it all together in an epic fantasy novel. I have now written two further books following on from “Rhuna, Keeper of Wisdom.” The 2nd and 3rd books are both set in Ancient Egypt, and I am working on the fourth book in the series, so stay tuned and enjoy “Rhuna”! Actually, I was writing a lot already in my spare time since the sixth grade at school, and it took several friends, many years later, to say to me “you should write a book!” until I finally thought about it seriously! And I guess the pivotal moment was when I decided to do a correspondence course in professional writing because I figured I needed to learn a few things to make the transition from hobby writer to professional/serious writer! Firstly, by doing that correspondence course after work and in my free time, and then trying to submit the short stories I was writing to magazines and literary journals. 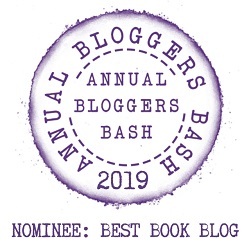 Only two of them got published, but people kept saying I should write a full-length novel instead, so then I started working on that project – which took some more years! Not in the sense of style or genre, but I was inspired by Thor Heyerdahl’s books about his expeditions and explorations concerning ancient civilizations, as those gave me the basic ideas for my RHUNA series, which is a blend of historical fiction/fantasy and magical realism based on myths about Atlantis and other ancient civilizations. First of all, I don’t have average writing days! Every writing day is different, depending on various circumstances and also my moods. Sometimes I write on my desktop computer, sometimes on my laptop sitting in bed, and sometimes I get up in the middle of the night to write when I get the inspiration! Definitely computer! I learned to touch-type so I’m pretty fast, which is good when my thoughts start flowing quickly. I can’t imagine writing a full-length novel by long-hand or with a typewriter, and I admire the authors in the old days who did that! Yes, and it’s a character that features in this book, “Rhuna, The Star Child”, namely Goram, also known as Beacon of the Night. I love writing about him because he’s sort of a bad guy, but has a few good qualities, too. His good-bad traits are necessary in some situations, and I find that fascinating, so I like him best! A bit of both methods: A general plot with the main elements, characters, features and twists, and then I let my imagination flow while filling in the gaps, and so far that has worked well for me. 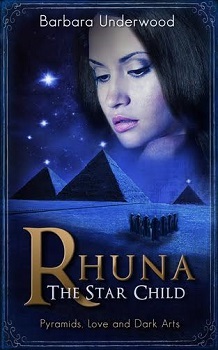 This thrilling sequel to Rhuna: Crossroads is set in mystical ancient Egypt, where black magic was developed by the followers of the legendary villain the Dark Master. As strange and frightening curses plague the population, Rhuna discovers the underground organization that performs this uncanny new magic, but she can only combat it with the help of her long-lost father. Having learned from her father, some amazing new skills to empower her on the Astral Plane, Rhuna once again strives to preserve peace and harmony in the idyllic Atlan civilization. This was an easy one because it’s a sequel to Rhuna: Crossroads, and I just kept writing “Rhuna, The Star Child” after I finished Crossroads, because I had several storylines to carry over directly, and had already worked out which new plots to introduce as I went along. Actually no, I’m happy to say that so far I’ve never had real writer’s block, only getting stuck now and then, as if in a rut. When that happens, I take a break, get some distance, maybe go over an earlier section I’ve already written, or even write a scene that’s further along in the story. I just make them up! I think of letters and combinations of letters that I like or that sound good, and then play around with them until I come up with a name that sounds like it fits the character. Then I google the name to make sure it isn’t already taken by a well-known character, real or fiction! That’s a hard one to answer, especially for my main character! I think Rhuna could be played by a fresh, new face: exotic, different, maybe with an accent…as for the villain in the series, called The Dark Master, I sort of imagine Rutger Hauer playing him really well! I always get my husband to read and also check for mistakes, and with my first book, since it took a while to get published, I had some of my best friends read it first.